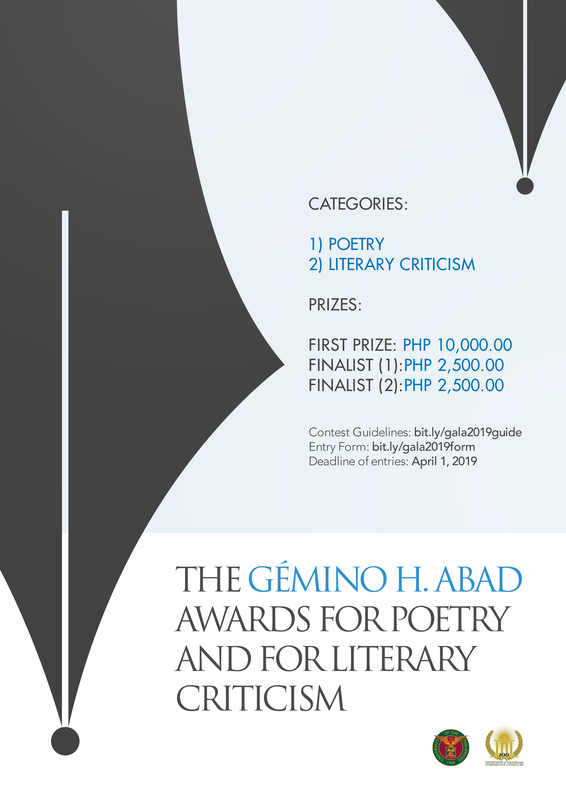 The period of submission is open for the Gemino H. Abad Awards for Poetry and for Literary Criticism. The competition is open to all undergraduate and postgraduate students officially registered in any of the eight constituent universities of the UP System. The Awards are managed by the UP Diliman Department of English and Comparative Literature for and on behalf of the UP Office of the Vice President for Academic Affairs. The guidelines and entry form may be downloaded from this page: http://ovpaa.up.edu.ph/abad-awards.